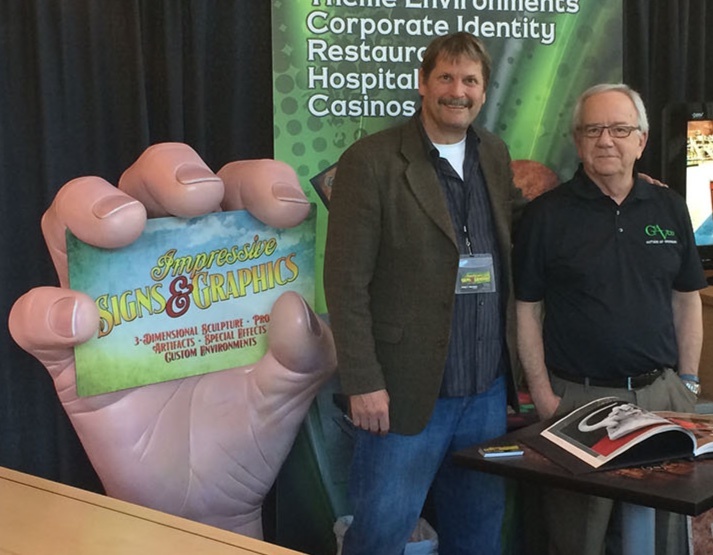 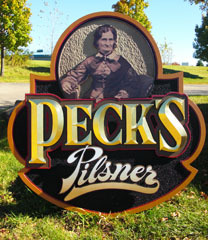 Since 1980, the team at Impressive Signs and Graphics has been making one-of-a-kind pieces using Precision Board Plus. 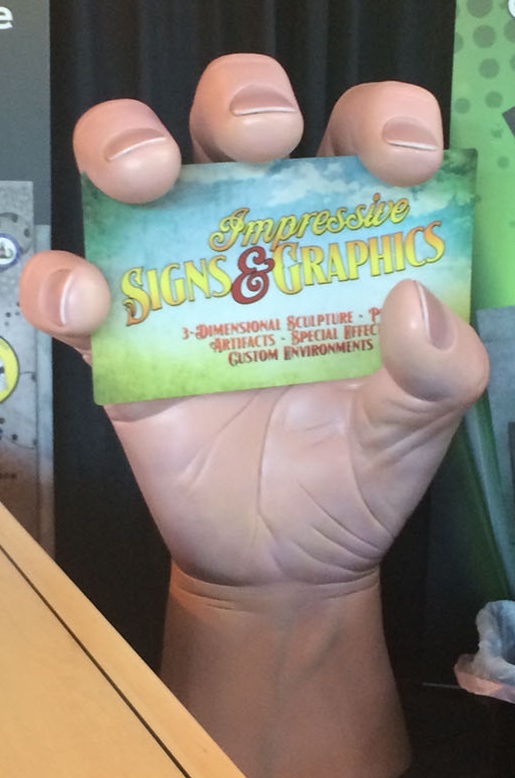 From concept to completion, the ISG team has a natural instinct for turning ideas into compelling realities. 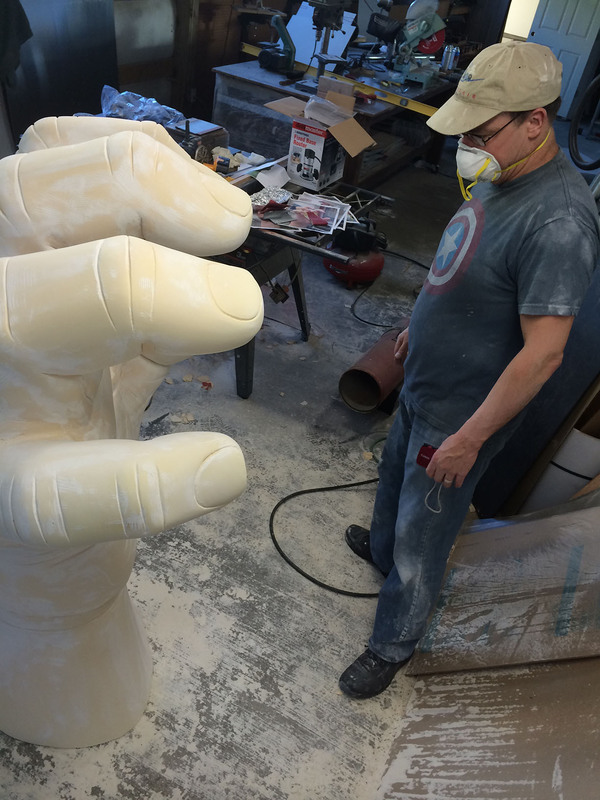 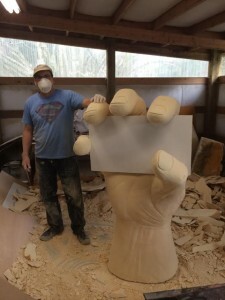 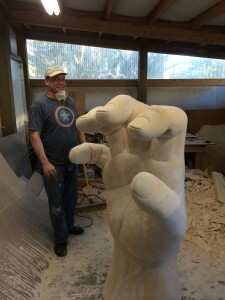 The “Hand” was sculpted using a solid block of PBLT-18 followed by the PB Hard Coat Texture Surface Coating for added durability and texture, then painted for realism. 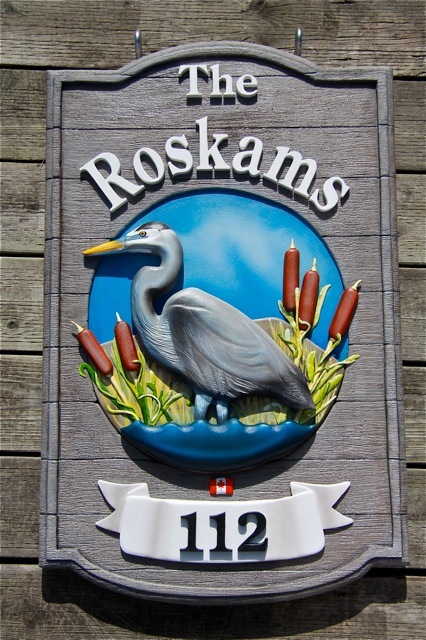 We would like to thank Impressive Signs and Graphics for their continued loyalty and impressive use of Precision Board. 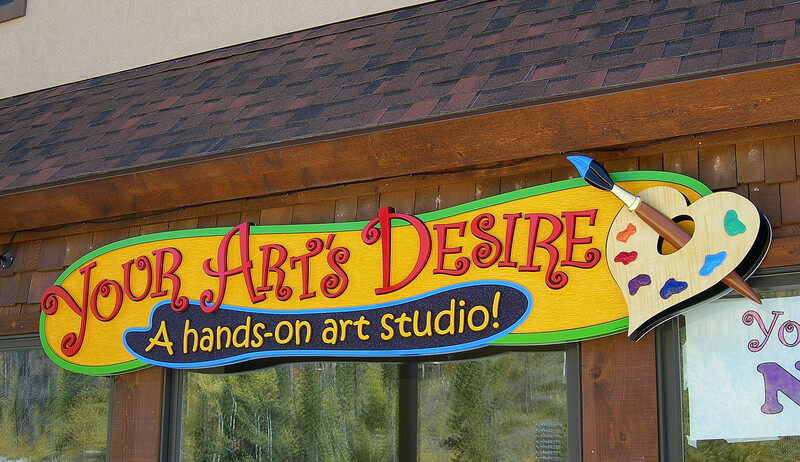 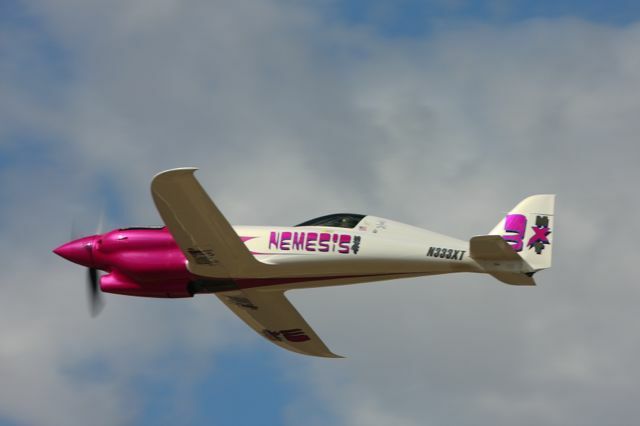 Want to find out more information about Impressive Signs and Graphics? 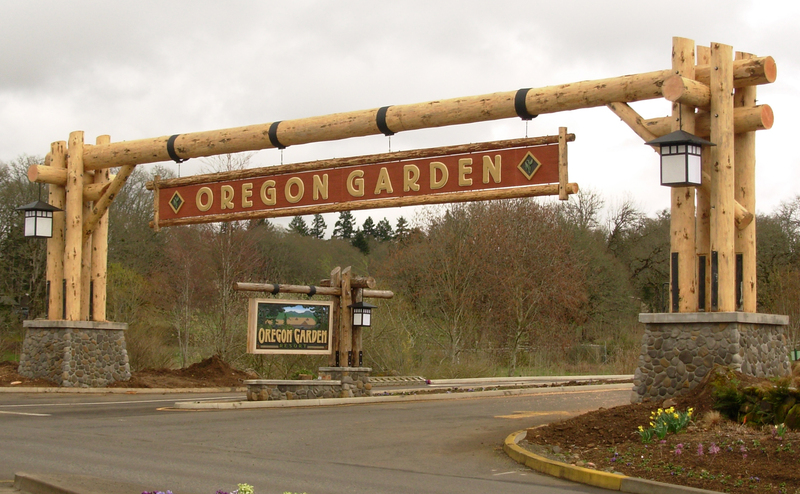 Contact Craig and his team Phone: 253-455-5146 or visit their website. And remember Coastal Enterprises Company is here for YOU! 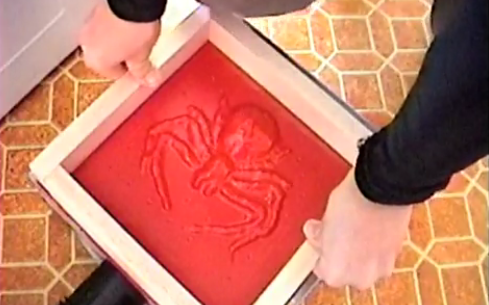 Great Video On Vacuum Forming With Household Items!